Have you purchased a new television in the last five years or so? Welcome to the world of smart televisions! Entertainment devices once had unique and simple functions: play songs and news, display TV shows, download email, or make phone calls. The TV was only as smart as the person holding the remote needed it to be. Today, about 70 percent of all TVs sold are ‘smart’, and Americans over age 50 are watching the most TV on them. 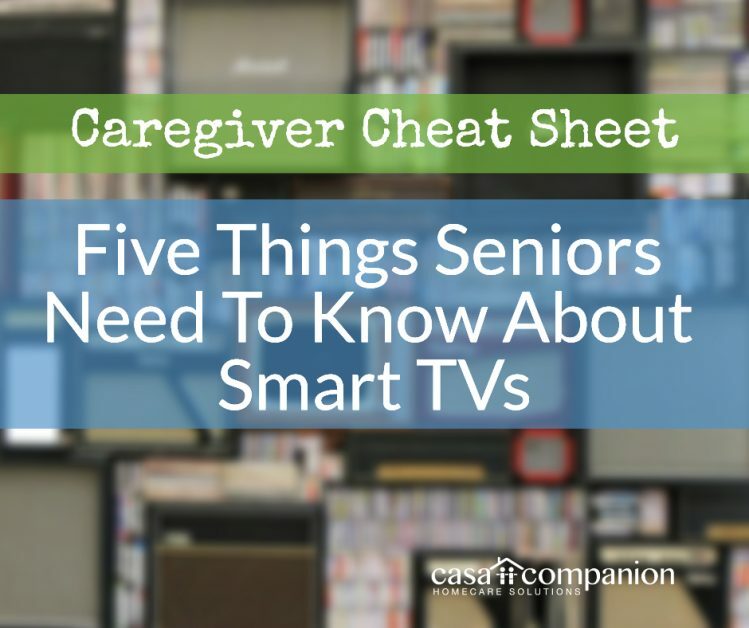 This month, we offer five things caregivers, home care aides and loved ones need to know when encountering smart TVs for the first time. Sure, the devices in our homes are getting smarter, and they’re connecting to the WiFi and each other to perform helpful functions. Did you know that today’s smart refrigerators perform nearly all the same tasks that Alice handled for the Brady Bunch? Whether or not we’re ready for that much creepy convenience, the smart TV is here to stay. New TVs, at least the ones with 24” – 27” screens, are as cheap as they’ve ever been. The traditional television with a thick screen and protruding back has been replaced with sleek, light-weight flat panels with LED HDTV screens measured in pixels. Which sounds a lot like a computer monitor! One of the head honchos at Vizio says that the margin for televisions is a scant 6% because the competition is so fierce. Companies like his make their money with ‘post-purchase monetization.’ Huh? The smart TV is a computer, plain and simple. And like the other computers in our lives, it connects to the internet, it uses apps, and it collects your user data and sends it back to the mother ship. Or, the app maker, in a deal negotiated by the television manufacturer. And these TVs are like Hotel California – you can add apps any time you like, but you can never delete them from your TV! 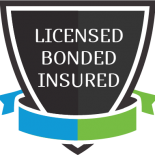 Some cable companies will still sell you standard ‘D’ (definition) channels, if you are holding on to your old school TV. But streaming services, and more and more cable channels, are delivered in HD (high definition). So you aren’t getting the full picture without an HDTV television. Plus, your HD cable box, which is also a kind of computer, may have some trouble communicating with a ‘dumb’ TV – which is another reason for your TV to get ‘smart’. Smart TVs aren’t just about television shows and movies. Each generation of machines offers more features, and today’s smart TV lets you access music, gaming, web browsing and even personal content that you upload to it. Some TVs will let you share the big screen with your phone or tablet so you can display what’s on your device to the rest of the room. The secret to managing your relationship with your smart TV and controlling your privacy is to do your research before purchasing. Make sure your TV has the usual set of cable, antenna, audio/video and HDMI connectors, as some new Vizios for example don’t have anything but internet connectivity! If you are comfortable with a smart TV, figure out how many apps your new purchase has pre-loaded. A 27” Vizio purchase in 2018 from Target has buttons for Netflix, Amazon Video and Xumo on the remote – but 28 other apps pre-loaded onto the TV accessed by a single ‘App’ button. Use an external device like a cable box, digital antenna, or streaming device (Roku/Apple TV/etc) so that your usage and account data doesn’t go through the TV. Or keep, your old-school TV going as long as possible, and use a Blue-Ray or DVD player to keep your information off the internet completely. Smart TVs offer many benefits, like a crystal-clear picture, convenient access to a world wide web of content, and a single remote with all the buttons. But they come with some conditions, like loss of privacy and the possible confusion of just too many options. Caregivers and loved ones can navigate the world of smart TVs if they just remember that they’re in control of the apps they use and thus the data available to share.